When India holds its general elections, the sheer scale can boggle the mind. In the elections that were held in 2014, the number of eligible voters, according to the Election Commission, was 814.5 million, more than the combined population of the third, fourth and fifth most populous countries of the world—the US, Indonesia, and Brazil. This year, with general elections due in a few months, the number will be higher because of the rate at which Indians turn 18 and qualify to vote for the first time. There are other astonishing numbers related to Indian elections: 930,000 polling stations; 1.4 million electronic voting machines (EVMs); and millions of security and policemen to maintain law and order. The Election Commission is likely to announce the dates for this year’s general elections by mid-February. And once that announcement comes, the real countdown would begin with different political parties, alliances, and other permutations, kicking off campaigning in right earnest. But the campaigning has already begun. 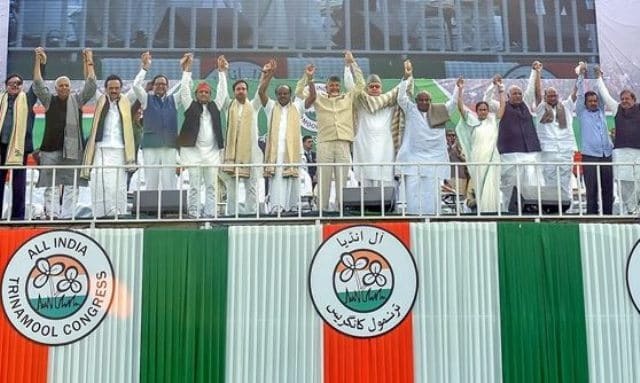 Recently, Opposition leaders from parties of all stripes gathered at a rally in Kolkata—where even traditional foes appeared to unite in their resolve to oust Prime Minister Narendra Modi’s BJP-led National Democratic Alliance (NDA) government at the Centre. At the last general elections in 2014, the NDA had pulled off a spectacular victory, garnering 336 of the 543 elected seats in Indian Parliament’s lower house. But in the nearly five years that have followed, opinions have been sharply divided about how it has governed. And that is what will likely make the next election a fiercely fought battle. Mr Modi’s own popularity still rides high with several surveys suggesting that Indians still prefer him over leaders from any other party at the helm of the central government but his party and its allies have suffered multiple setbacks, most recently in regional elections where it was ousted from power in crucial northern states including Rajasthan, Madhya Pradesh and Chhattisgarh. When it comes to the national elections, which way people in the northern states such as those, comprising the Hindi belt, till now a traditional stronghold of the BJP, will decide which way the people’s verdict will go. It will be in Uttar Pradesh (UP), the largest and most populous of Indian states, where the people’s verdict will matter most. UP’s 80 seats makes it the state with the largest number of elected representatives to Parliament, followed by Maharashtra, which has 48, and West Bengal and Andhra Pradesh, which have 42 each. The battle in UP will especially be crucial because of the moves that three parties have made in the state. The Samajwadi Party (SP) and the Bahujan Samaj Party (BSP), the state’s two regional parties (and also rivals) have forged an alliance to fight the elections against the NDA. The former suffered a bruising defeat in the last state elections, which the BJP won. And in the last general elections, the BJP won 71 Parliamentary seats from UP convincingly. This time things are probably not going to be that easy for the party. First, it is the regional alliance that would be a challenge (between them, the BSP and the SP, could garner the votes of the scheduled castes, backward classes, and Muslims) but the fight could get three-cornered because of the Congress party’s recent moves. The Congress has initiated its campaign in UP, a state where victory has eluded it for years, by appointing two prominent and relatively young leaders, Jyotiraditya Scindia, and Priyanka Gandhi, to lead the campaign. 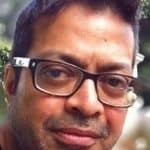 Ms. Gandhi will lead the party’s campaign in the western part of the state (which crucially includes Mr Modi’s own constituency and that of the BJP chief minister of the state, Yogi Adityanath, recognised by most to be a hardline Hindu leader), while Mr Scindia has been entrusted with the eastern part. India’s elections are notoriously difficult to predict with seasoned psephologists repeatedly failing to project their outcomes. Still, everyone almost unanimously believes that the BJP and allies could face strong competition in the elections. Mr Modi’s government has over-promised and under-delivered on development for all, jobs for the youth, and relief for farmers. Some of the schemes announced by the government such as Make In India, which was aimed at attracting foreign investment and spurring the manufacturing sector, which could then generate jobs, has been a disappointment; other schemes such as the hasty one to demonetise large currency notes have been disastrous. Popular, grassroot opinion about how his government has fared has rapidly shifted from being supportive to critical. While who fares well in UP will (as it always does) decide the arithmetic of the elections, a large factor in that populous state as well as elsewhere will be decided by how India’s youth votes. In 2014, nearly 24 million were first-time voters. Five years later, that figure in India’s youthful demographics could be much higher. Also, first-timers who voted for Mr Modi in 2014 on hopes that he would usher in “good times” as he had promised will be second time voters this year. And they are not a happy lot. The problem is with the possible alternatives to a BJP-led government at the Centre. Even though the major multi-party rally by the Opposition was a large affair, not too many people believe that a clear leader could emerge from such an alliance before the elections. Individual party leaders have their own ambitions. And that’s where the conflicts could arise. Like Mayawati, the Nationalist Congress Party’s Sharad Pawar, the Telugu Desam Party’s Chandrababu Naidu, and even the Janata Dal (Secular) leader and former Prime Minister, H. D. Deve Gowda, has designs for the top job. Such ambitions can quickly turn into squabbling that could hobble an alliance of Opposition parties. Also, the alliance of the Opposition parties, termed Mahagathbandhan, while united in its opposition to Mr Modi’s government and resolve to oust him in the elections has had surprisingly little to offer in terms of its own strategy for governance should it win decisively. Criticism of the Rafale deal or the Modi government’s shortcomings on the development front are one thing but voters would be eager to know what an alternative government’s gameplan would likely be. There is not much that they’ve heard as yet.